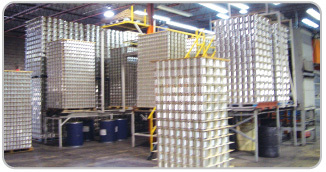 Welcome to Weil’s Food Processing ltd.
Our Family has been processing, packaging, and shipping canned potatoes and tomatoes for over 30 years! 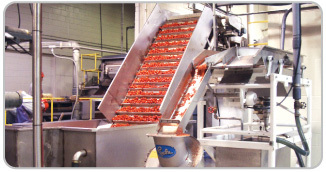 Located in Southwestern Ontario - in the heart of the tomato growing region - in our modern 100,000 sq. ft. production/warehousing facility. Producing in excess of 1 million cases annually, largely marketed to private label lines, and co-packing for branded customers, for both RETAIL and FOODSERVICE customers alike in Canada and the United States. Our facility is federally registered with the Canadian Food Inspection Agency. We maintain a HACCP based FOOD SAFETY & QUALITY system which is subject to annual independent 3rd party audits. Quality Products. Excellent Service Levels. Competitive Prices. That's our recipe for SUCCESS. A recipe which has produced many long term customer relationships. Please contact us to find out how we can supply you with quality and service and help improve your canned potato and tomato business.